This seemed to be a daunting task for a newbie troop leader like me. I am completely out of my element as a leader so organization is something I am obsessed over. I have a little bit of OCD when it comes to planning. Each girl/parent got a blue folder with their name on it. 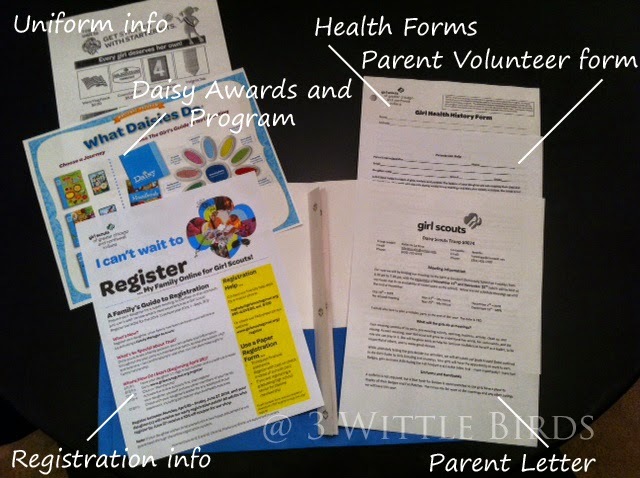 This folder is used as a parent communicator that the Daisy will bring to every meeting. The folder will be sent home each meeting with a wrap up of what was done at the meeting and updates and information on the next meeting. I wanted the girls to have something to direct their attention to while I discussed the business with the parents. 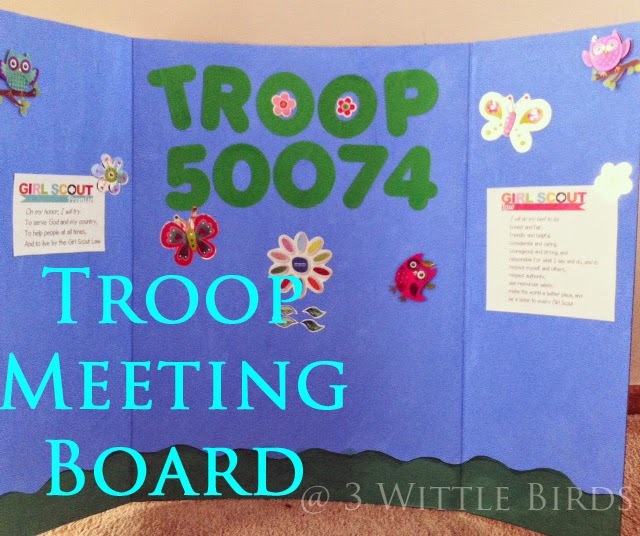 For this I had my co-leader take the girls aside to decorate their own daisy flower that we would put on the Troop meeting board. I wanted to keep the meeting fairly short and to the point. Shutterfly offers an amazing share site to keep the parents up to date on meetings. I would strongly recommend checking it out! For my troop, I decided to include the Membership Pin and Badges the girls will earn through out the year in their membership dues. It's important to decide how you want your troop to operate for the year and have some sort of outline. I really wanted to incorporate outside activities not just regular meetings twice a month so I welcomed suggestions of ideas for meetings other than at the school. This also got the parents involved. The meeting ended on a wonderful note with all the Moms excited and I could see they were also bursting with ideas. I hope this helps you plan out your first meeting!